Did The Beatles change the English language? 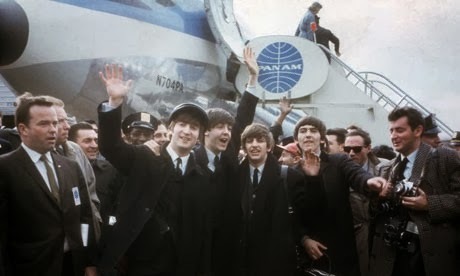 The Beatles first flew into New York in February 1964. Part of their appeal was what to American ears was a charmingly fresh approach to the English language. The Beatles brought British English back onto centre-stage. They also joined British actors such as Michael Caine in breaking down class and regional prejudice against local accents. Whatever the preconceptions in Britain, the 'scouse' accent was simply another variant of charming British English in the US. How can The Beatles help you teach English?